Trainer Charles Leck has moved up to the top of the Trainers’ Championship Table for the first time when he shared the honours with Mohd Sukri with a treble each in the 17 race card over the weekend races at Selangor Turf Club. 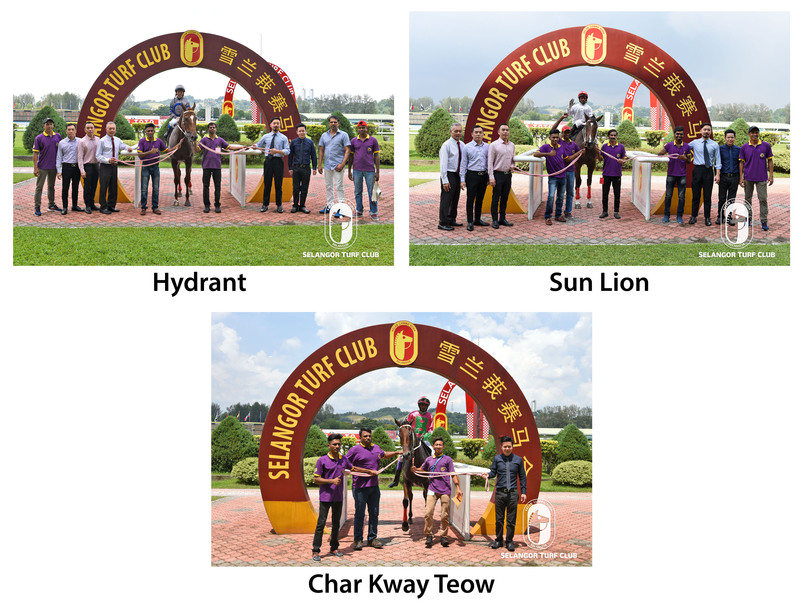 https://www.selangorturfclub.com/horse-racing/premiership-statistic/trainers/ Although it was meant to have a card of 21 races, four races were called off due to adverse weather. Leck who has so far saddled 21 winners, got his first win in the opening event on Saturday with Hydrant ridden by J Low, his second was on Sun Lion ridden by S. Anandan in Race 6 and third was on Sunday with Char Kway Teow ridden by stable Apprentice N. Varmah in the Stayers Stakes. 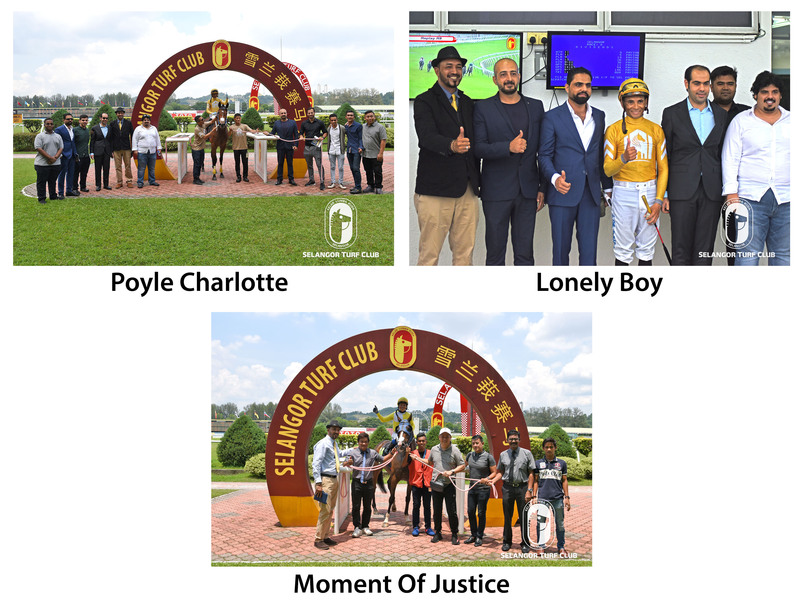 Trainer Mohd Sukri who has got a new string of horses in his yard, managed to get his treble on Saturday with Poyle Charlotte in Race 4 and Lonely Boy in Race 8, both horses were ridden by Jose De Souza and on Sunday he saddled Moment Of Justice ridden by J Low in Race 3. Trainers Richard Lines, Lawson Moy and Frank Maynard got a double each over the weekend. Lines’s winner were on Sunday with Go Helps Me in Race 7 and Harveywallbanger in Race 9, both horses were ridden by stable Apprentice De Souza. Lawson Moy’s double was also on Sunday in the opening event with Tarzan ridden by Y.Aify and Hello Boss ridden by KC Wong in Race 8, while Frank Maynard’s first winner was on Saturday with Sattar ridden by Ruzaini in Race 5 and on Sunday with Skydance Eclipse ridden by KC Wong winning the 4 year old race. Trainers with a single win over the weekend were, Johnny Lim on rank outsider German Speed ridden by S. Anandan in Race 2, SY Lim saddled So On ridden by HS Gill in Race 3, Simon Dunderdale win on Arc Cara ridden by HK Cheng in Race 7, all on Saturday. Shane Edwards saddled Blue Eye Boy with KC Wong doing the riding in Race 2 and Shane Ellis got his winner in Race 5 with Brother Wind ridden by Chavez on Sunday.